That foul smell coming from the basement might not be mold. You shouldn’t let it fester either. A foul smell coming from a basement, specifically one with a sump pump, could be from the sump pump itself. It’s easy for the foul smell to spread to other rooms of the home and not just remain in the basement. Odors can easily enter into the ventilation of the home and spread to the top floor, where your bedrooms are located. If you notice that the odor gets stronger when you reach the basement, you likely have a problem with the sump pump on your hands. If that’s the case, it’s time to call the reputable team from Flow Plumbing in Mesquite, TX. If your home is connected to the sewer system on your street, there could be a breach of the sewer line if a foul smell is present in the basement near the sump pump. The main goal of a sump pump is to pump excess water out of the home and into the front yard or into the street so that it can drain into the sewer system. 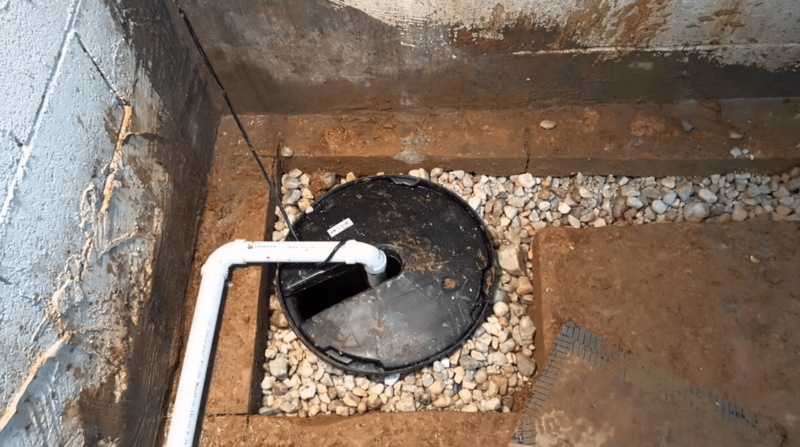 When there is an illegal setup of the sump pump, which is when the pump is connected directly to the municipal sewer system, a backup can occur. When there is an illegal connection, the sump pump can easily backup into the home, causing the foul smell. You might also have a crack or other breach in the sewer line that runs from the street to your home in Mesquite, TX. If this is the case, the sump pump could be pulling in water that has leaked from the sewer line into your basement. Since this water comes from the sewer line it will smell foul. A plumber will be needed to locate where the breach is in the sewer line so it can be determined who is responsible for fixing the line, either you or the municipality. When you check the sump pump every now and then, do you notice water sitting in the bottom of the well/tank? If you do, this is nothing to worry about so long as the water is below the cutoff mark that would activate the pump. If it hasn’t rained in a while in Mesquite, TX, that little bit of water in the pump will remain there since there won’t be enough water entering the pump to activate it. A dry period can cause the water in the pump to become stagnate, develop mold and bacteria and lead to a foul odor. When there’s too much water in the sump pump well, or if the pump hasn’t operated in a while because of a lack of rain, you can easily fix this problem. All you need to do is pour some diluted bleach into the well to get rid of the foul smell emanating from it. If the diluted bleach does not fix the smell you can always use a wet/dry vacuum to get the water out of the well. Once the well is dry, clean it to remove any remaining bacteria, grime, or mold. Once the well has been cleaned you need to add fresh water up to the fill line. Water helps to keep the foul smell from moving throughout your home. If the well is completely dry, foul smells could also develop and wind up emanating throughout the home. If you continue to have foul smells in the basement, you need to check the float switch of the sump pump. The float switch the is part of the pump that activates the pump to remove the water from the home. If the float switch has failed it will not tell the pump to turn on, therefore leaving too much water in the well. When you are dealing with a sump pump issue, such as a foul smell coming from the well, you will want to call an experienced plumber immediately. A foul odor coming from the sump pump in your basement can make living in the home extremely unpleasant. Call the experienced and trusted team at Flow Plumbing in Mesquite, TX today to schedule an appointment.